The ER vets just called. Metro has drunk his last two meals from a bottle! But, he is still having trouble staying warm. So, he’s staying there tonight. Next scheduled update, tomorrow morning. Meanwhile, MUNI (remember her) has been snacking, smacking, and sleeping all day. She looks good. Zenith had an actual full meal at lunch for the first time since the C-Section. She also pooped and peed to make me happy. Zenith has gotten agitated at times, nesting/digging at the towels on the whelping box floor. She also has walked oddly and tried to chew a stitch sticking out. Dr. Cain thinks the walk may be due to uterine contractions (don’t worry); and we are waiting for the authority to snip the offending stitch. Geoffrey went to work today, and the rest of the pack is complaining of neglect because I have mostly stayed in the TV room. I might have divided my time more evenly, but the Judiciary Committee hearings were not to be missed. 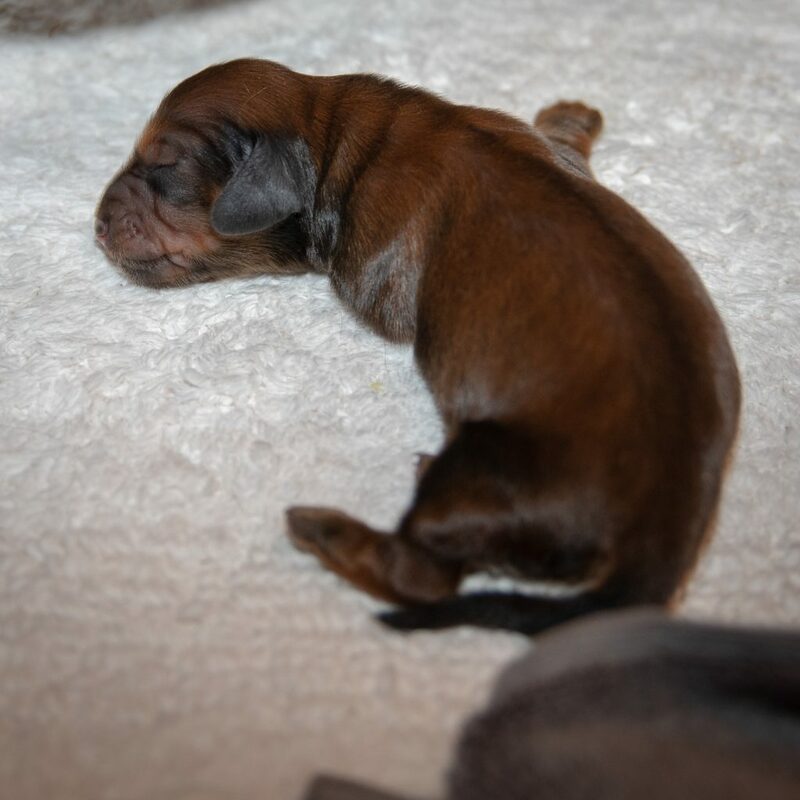 This entry was posted in dachshunds and tagged Metro, MUNI, puppies, puppies2018, weight loss, whelping. Bookmark the permalink. Glad to hear he’s getting food in. Now to have enough food in him to keep his temperature up!